Teaching your child to write their name is often the first step on their academic career. Your child, usually between the age of three and four, will begin to show interest in writing their name through several different ways, including showcasing more fine motor control and the ability to settle down and concentrate on the activity. 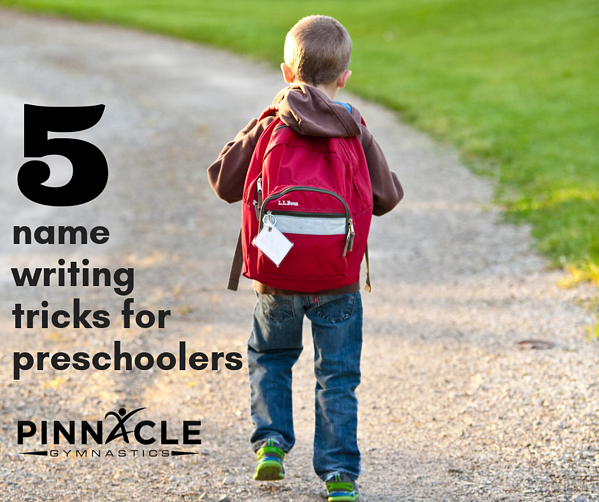 Check out these simple tips to help encourage your child to write their name. Start with Spelling: It may seem silly, but it is pretty important for your child to know how to spell their name first. Usually starting around age two, I would recommend making up a song with the letters of your child's name. Singing the song will help your toddler/ preschooler to know how to spell their name and kick off the writing process. Next Up, Tracing Lines: Letters are simply a combination of straight and curved lines, so it makes sense to start with tracing some lines. Start by drawing some lines, both straight and curved, on a piece of paper and allow your child to trace the lines. Continue to make them more intricate and more similar towards letters. 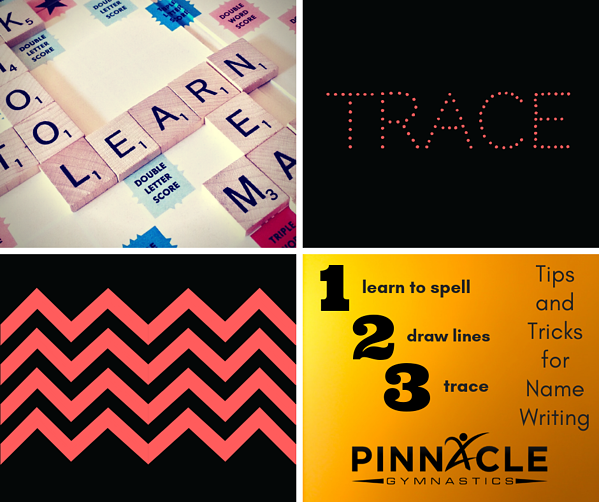 After Lines, Start the Letters: Once your child has mastered tracing their lines, it is time to move towards letters. Simply write their name on a piece of paper and let them trace the letters. When your preschooler first starts, it is ok for them to be a bit erratic. Slowly encourage them to write their letters correctly and in the correct order. Tip, make sure you write the letters correctly and clearly. Personal penmanship will come later. 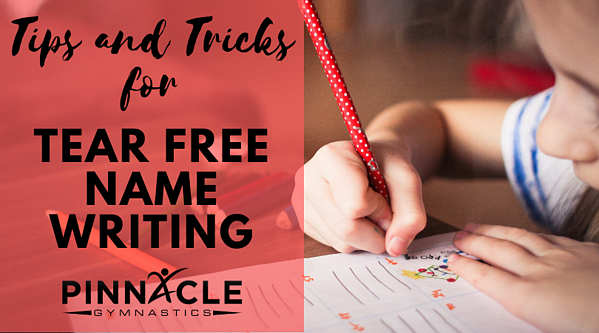 Copy Time: Once your child has mastered tracing their name, now it is time to let them copy your writing. Write your child's name clearly on a piece of paper and let them mimic the letters onto their own piece of paper. Your preschooler will start out with shaky letters, but will quickly put all of the piece together and write their name clearly. Last Up, Name Time: When the name is clear, it is time to start without the copy. You can leave out a few letters, or ask your preschooler to write as far as they remember. It will take no time at all for your child to be writing their name all on their own. When you get stuck, take a break. Consider putting foam letters in a sensory table for another way to introduce the concept. More on the the importance of the sensory table here. It may seem like several steps, but follow this simple set up and you will have a preschooler writing their name in no time at all. By taking it step by step, you are setting up your child for success along the way. This should lead to a stress free way of learning, putting your child on the "write" path for education.